Prime Minister Modi felt there were too many silos with no arrangement to take a comprehensive view on national security. The PM has entrusted NSA Ajit Doval to evolve a comprehensive roadmap and get it implemented, reveals Nitin Gokhale, Editor-in-Chief, Strategic News International. Three Deputy National Security Advisers. A reconstituted Strategic Policy Group. A dedicated think-tank to monitor and assess China across the spectrum. Formation of a Defence Planning Committee. Additional budget for the National Security Council Secretariat (NSCS). India's national security architecture is being transformed to meet current and future challenges. The changes -- some announced, some shrouded in official secrecy -- are outcomes of the review of the national security structure ordered by the Prime Minister's Office last year. Prime Minister Narendra Modi, sources say, felt there were too many silos in the system with no arrangement to take a comprehensive view on national security. The review, completed in mid-2018, has now led to these changes. Appointment of two more deputy national security advisers, as opposed to just one in the earlier structure, is part of a major restructuring. Accordingly, former chief of the Research and Analysis Wing (R&AW) Rajinder Khanna will look after external and technical intelligence matters, Indian Foreign Service officer, former ambassador to Russia Pankaj Saran is entrusted with handling diplomatic affairs, and R N Ravi, former Intelligence Bureau officer and interlocutor for the Naga talks, has been assigned to oversee internal security matters. Ravi was chairman of the Joint Intelligence Committee until he was re-designated deputy national security adviser. Khanna and Saran were already Deputy NSAs. 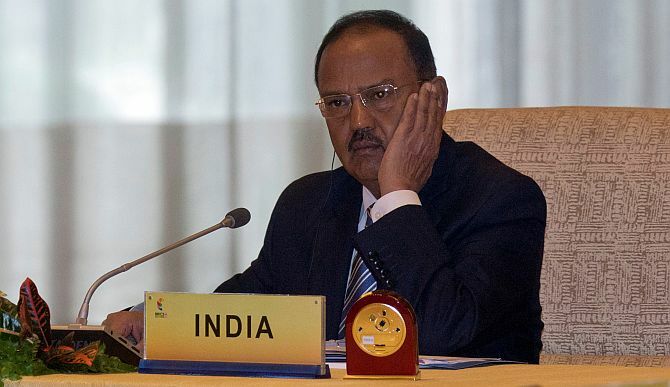 The three deputy NSAs will now widen the scope and responsibility of the National Security Council Secretariat (NSCS), which works directly under National Security Adviser Ajit Doval, arguably Prime Minister Modi's closest confidant on foreign and security policies. Doval, a former career intelligence officer -- like Ravi and Khanna -- has been NSA and Special Representative for talks with China since 2014. His remit has steadily increased since then and so has the budget of the NSCS. From a measly Rs 39.9 crore/Rs 399.9 million (actual expenditure) in 2016-2017, its budget was increased to Rs 333.58 crore/Rs 3.3358 billion in 2017-2018 although it could only spend Rs 168 crore/Rs 1.68 billion at the end of the financial year 2017-2018. However, for the current financial year (2018-2019) it has again been allotted Rs 303.83 crore/Rs 3.0383 billion. With the increase in its mandate, the NSCS will likely need more funds in coming years. Along with the division of responsibility in the NSCS, the government has also reconstituted the Strategic Policy Group, a body that has existed since 1999 (appointed by the Atal Bihari Vajpayee government a month before the Kargil conflict began). It was earlier headed by the Cabinet Secretary. In a partial but significant amendment to the original office memorandum, the SPG will now be led by the NSA, with the Cabinet Secretary and vice-chairman of the NITI Aayog becoming members of the group. 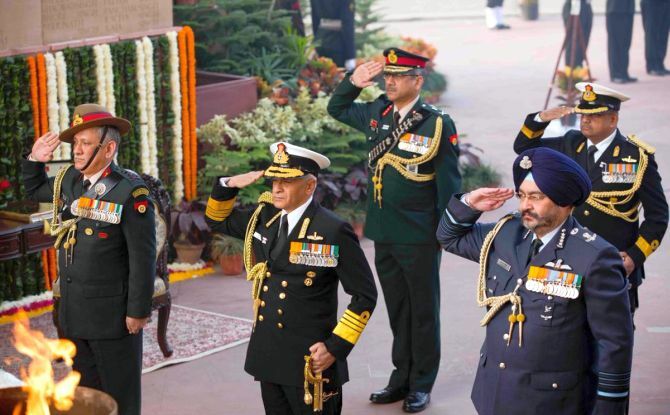 Like in its earlier avatar, it will also have the three service chiefs, the intelligence chiefs, secretaries of defence, home, finance, atomic energy, defence research and development, revenue, space, and governor of the Reserve Bank of India as members. The NSA will have the power to co-opt any other official and department as and when needed while the Cabinet Secretary will ensure coordination and implementation of decisions taken by the SPG. In another concurrent development, a National Security Strategy document is now ready to be presented for discussion at the highest level. Those in the know say at least three versions of a National Security Strategy have been attempted in the past, but none of them was either approved or released for public consumption. 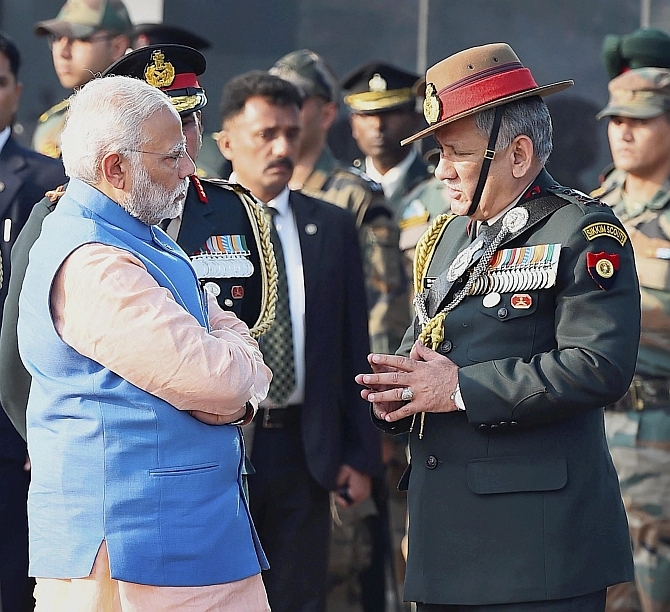 Despite some indications earlier this year that the Modi government may put out some elements of the National Security Strategy in the public domain, sources say, the prime minister has now ruled against making any part of the document public. Another development that has largely gone unnoticed is the formation of a China-specific, MEA-run and funded think-tank. 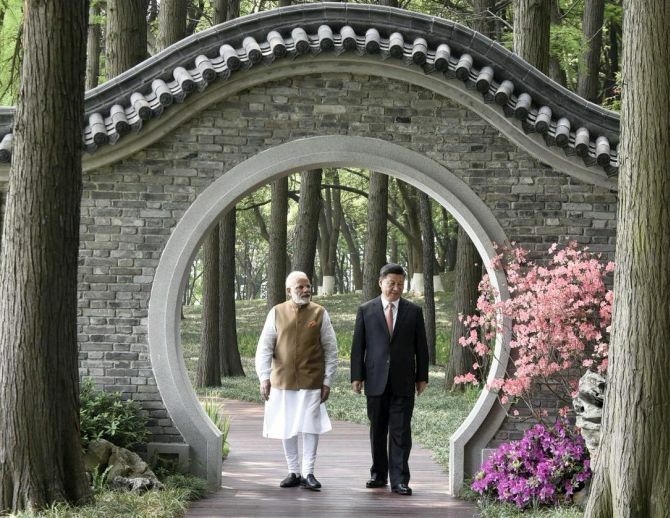 Called the Centre for Contemporary China Studies, the new entity will only study China from an Indian point of view. 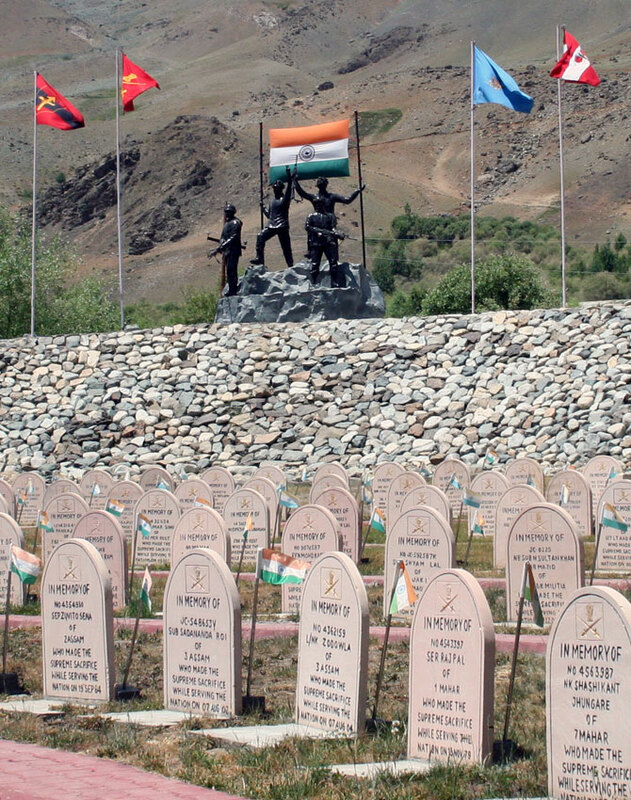 Manned by serving officers drawn from the MEA, the three armed forces, the Intelligence Bureau, the Research and Analysis Wing, the Indo-Tibetan Border Police and other relevant ministries and departments, CCCS will prepare reports and undertake specific studies on China at the behest of different government departments to provide real-time policy inputs to the decision-makers dealing with China. So, for instance, the CCCS can be asked to provide quick inputs by the commerce ministry on the impact of US trade sanctions against China and the likely advantage that can accrue to India. Or recommend a future course of action in India's (largely positive) relationship with North Korea post the Trump-Kim summit. The CCCS' governing body is headed by the external affairs minister and the NSA is the deputy chairman. Coupled with the formation of the Defence Planning Committee earlier this year, and the recent approval given by the prime minister to the formation of three tri-services agencies -- to create a join structure for cyber, space and special operations across the three armed forces -- the new focus on restructuring the national security architecture has never been more intense. Like the SPG and NSCS, the DPC is headed by NSA Doval, inviting charges of too much concentration of power in the hands of one person. No matter what critics say, recent decisions are a clear indication that the prime minister has entrusted his NSA to evolve a comprehensive roadmap and get it implemented. Doval already has too much on his plate (dealing with Pakistan, China, the US and Russia for instance), heading the nuclear command authority and handling the overall security situation. Now to expect him to deliver on these crucial issues looks a challenging task. However, as a trusted man of the prime minister, the NSA has the necessary authority lacking in earlier structures that had suggested reforms and roadmaps to bring India's national security architecture up to speed.